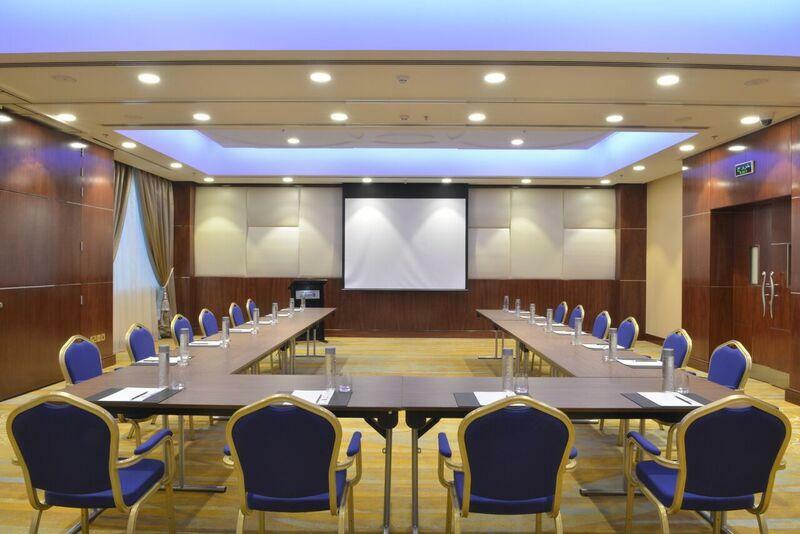 The 5-star Diplomat Radisson Blu hotel is located in the cultural and financial centre of Bahrain. 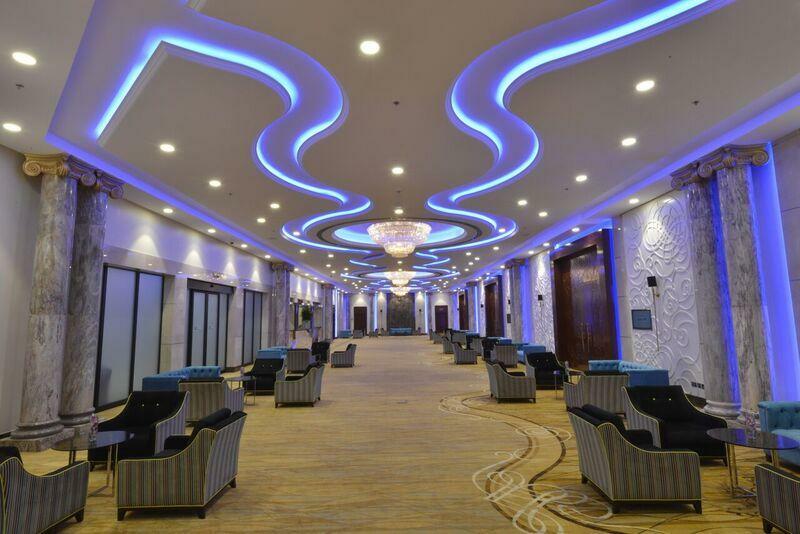 This upscale hotel boasts a business centre, which provides versatile meeting rooms and a rooftop ballroom. Located on the 14th floor, the newly renovated Grand Ambassador Ballroom offers stunning views of the city skyline and can accommodate up to 1,800 guests. 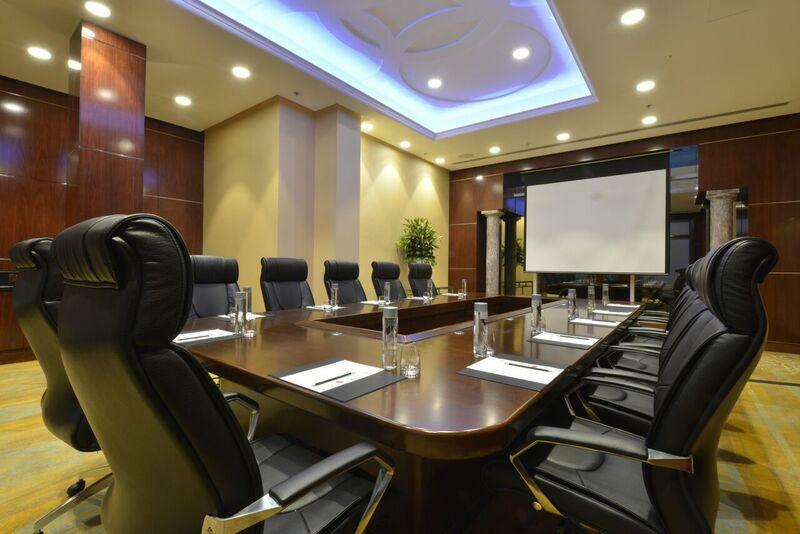 The hotel’s other meeting facilities include intimate boardrooms and meeting rooms of various sizes. 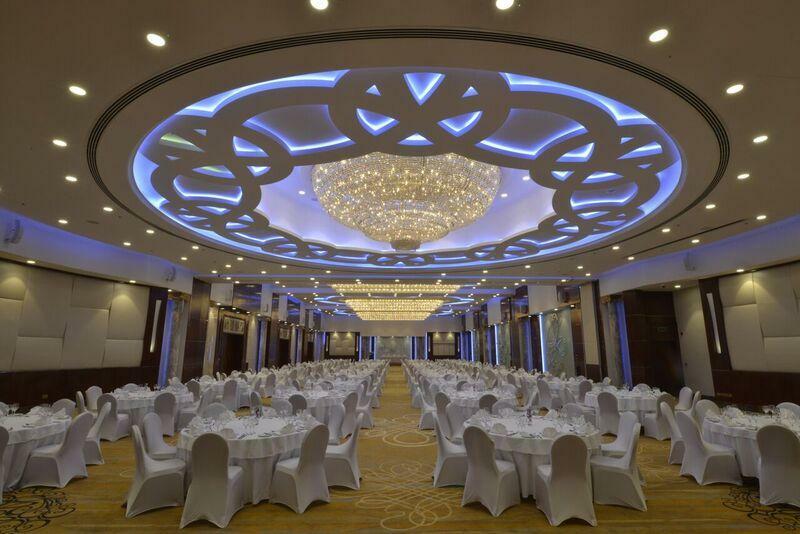 Our designer’s objective was to achieve a contemporary Arabic design throughout the ballroom complemented by the carpet. The attention to detail and support offered by the Brintons’ team offered us the possibility to look at various options and appreciate the vision of the final product. The Ballroom’s success proven by the great demand since it’s reopening is a testament to Brintons expert quality of manufacturing and team quality. 2,760 sqm2 of custom Axminster 1048A..